The Durham Bulls struggled this week, going 1-5 on the week and ending the week on a season high five game losing streak. 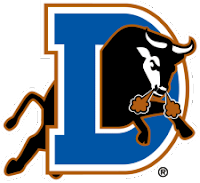 Despite the losses, the Bulls still lead the International League South Division by 4 1/2 games with a 23-19 record on the season. The Bulls are led by an offense that is at or near the top of every offensive category. The Bulls look to put the brakes on their skid by kicking off a week long homestand against Pawtucket and Rochester. Desmond Jennings: .258 AVG, .333 SLG, .311 OBP, 6 doubles, 1 triple, 3 home runs, 21 RBI’s and 13 stolen bases. Transactions: Hank Blalock promoted to Tampa Bay (5/15/10). JJ Furmaniak transferred to Montgomery (5/15/10). Justin Ruggiano activated from disabled list (5/17/10). Heath Phillips activated from inactive list (5/19/10). Disabled List: Jason Cromer and Virgil Vasquez. The Week Ahead: 5/22/10-5/25/10: vs Pawtucket Red Sox (19-23). 5/27/10-5/28/10: vs Rochester Red Wings (15-27). Serious question, do you (Chris or anyone) think the Bulls success year after year has something to do with the type of players we put/sign at AAA. What I mean is we have our young prospects coming through (Hellickson, Aneury Rodriguez and Jennings for ex. this year), and do every year, but we tend to add a lot of older players to the Bulls roster. The Bulls average pitcher age is 27.3, 5th of 14 in the International League. Average batter is 28.9, 3rd of 14. Just thinking out loud, but do the Rays specifically look for older AAAA-type guys who may be needed in Tampa, but provide more production for the Bulls because they are older, than other organizations? Guys like Richard, Dillon, Abreu, etc. Despite the really young guys, the Bulls average age is near the top of the IL. Intentional, or just who was available?